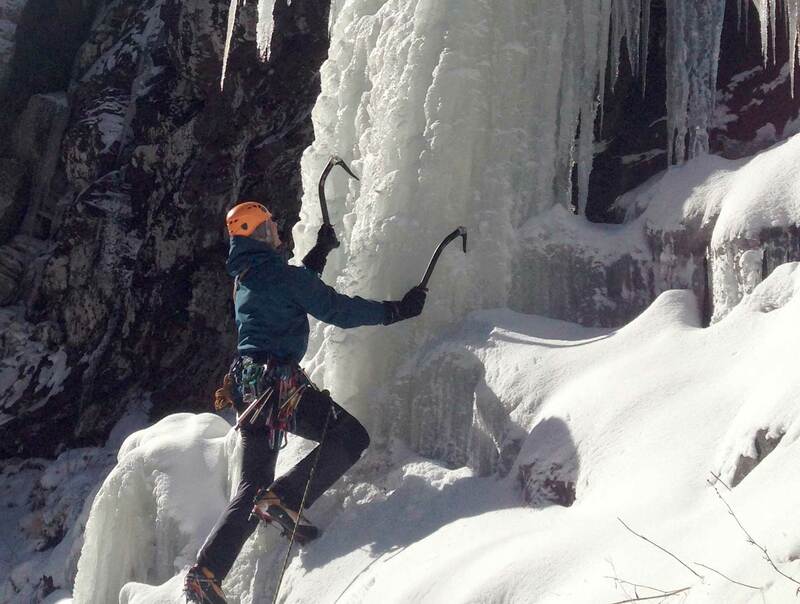 High Xposure offers ice climbing adventures for climbers of all abilities. Waterfall ice climbing is a fun and adventurous winter activity. We work with clients of various abilities - from absolute beginners to experienced climbers. Beginner climbers will learn the basics of ice climbing: how to use crampons, ice tools, as well as belaying, knots and top-rope climbing techniques. Intermediate and advanced climbers learn advanced ice climbing techniques on steeper ice. We work with groups of any size, you can bring your friends or you can choose to join a group. We provide all necessary gear - crampons, harnesses, ice climbing boots, ice tools and helmets.